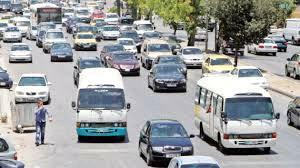 AMMONNEWS - The government's economic team discussed during a meeting on Monday, the public transportation sector in the kingdom, the challenges it faces, and the practical solutions and proposals to improve transportation services in Jordan. Prime Minister Omar Razzaz stressed the government's commitment to take all necessary measures to improve services provided to citizens, especially in health, educational and transportation fields. He also highlighted the government's commitment to presenting a clear plan with a specific timetable for improving services during the first 100 days of its formation, pointing out to His Majesty King Abdullah II's directives to provide the best services to citizens. The premier also stressed that transportation services should comply with public safety conditions, noting the need to measure the level of satisfaction of passengers. Minister of Transport and Municipal Affairs Waleed Masri outlined plans and projects of the public transport sector in the Kingdom.